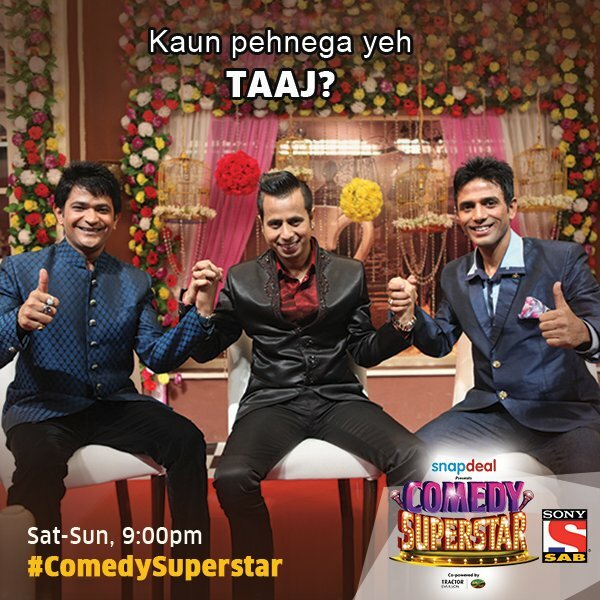 ‘Comedy Superstar’ is a stand-up comedy reality TV show which aired on SAB TV. 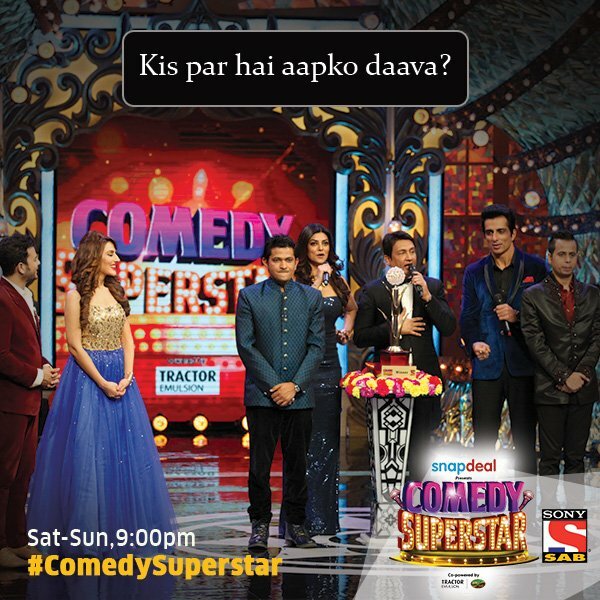 The show which started from from 22nd August was an attempt to find the next big Comedy Idol saw its Grand Finale, on 29 November 2015. 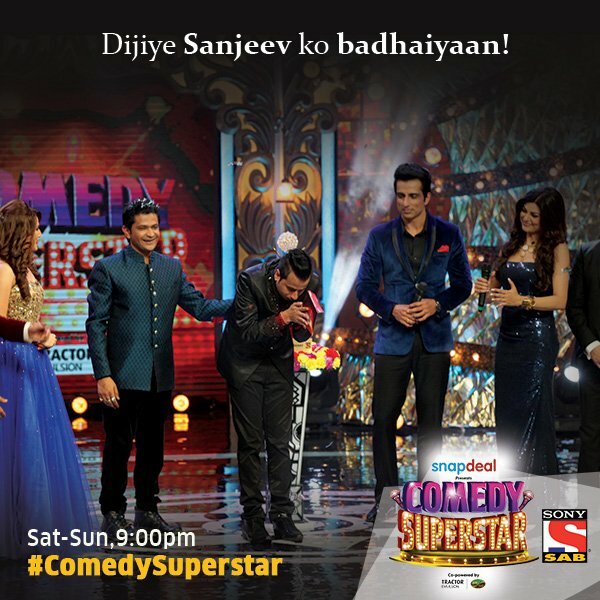 The grand finale of Comedy Superstar on saw all the three judges Sushmita Sen, Sonu Sood and Shekhar Suman shaking a leg on popular Bollywood tunes. The top 3 finalists Sanjeev Atri, Goldie and Vikas Giri faced each other in the Grand Finale. The four months journey came to its conclusion amidst lots of fanfare and celebration. The judges Sushmita Sen, Sonu Sood and Shekhar Suman were on the lookout for the country’s first comedy idol who had that Y-factor and Sanjeev Attri who hails from Pathankot in Punjab was declared the winner of Comedy Superstar amid high voltage drama and suspense. Sushmita Sen, Shekhar Suman and Sonu Sood were seen having a great time with the finalists and the hosts of the show Jay Soni and Sudeepa Singh. To make the mood lighter the hosts gave away internal awards where the contestants and the judges received unique fun awards basis their persona and certain traits on the show. Rimi Sen paid more than the winning amount in Bigg Boss 9? Bulbul to die in Kumkum Bhagya, Mrunal Thakur quits the show? Sanaya Irani-Mohit Sehgal to marry in January 2016, Its a Goa wedding!